Harrison Ford celebrated his 40th big-screen role in Cowboys & Aliens last year, which I have to say was quite a turkey, we switched it off before the end, it wasn’t even a financial success. 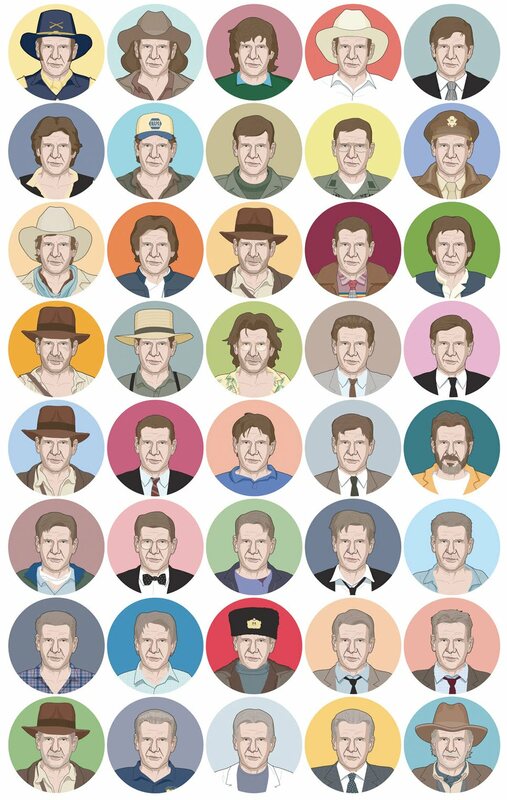 That aside, it’s still quite an achievement for old Mr Ford (who turns a spritely 70 on the 13th of July) to have played these 40 iconic roles in his career. Can you name the Year, Movie Title and Character name (left to right):? 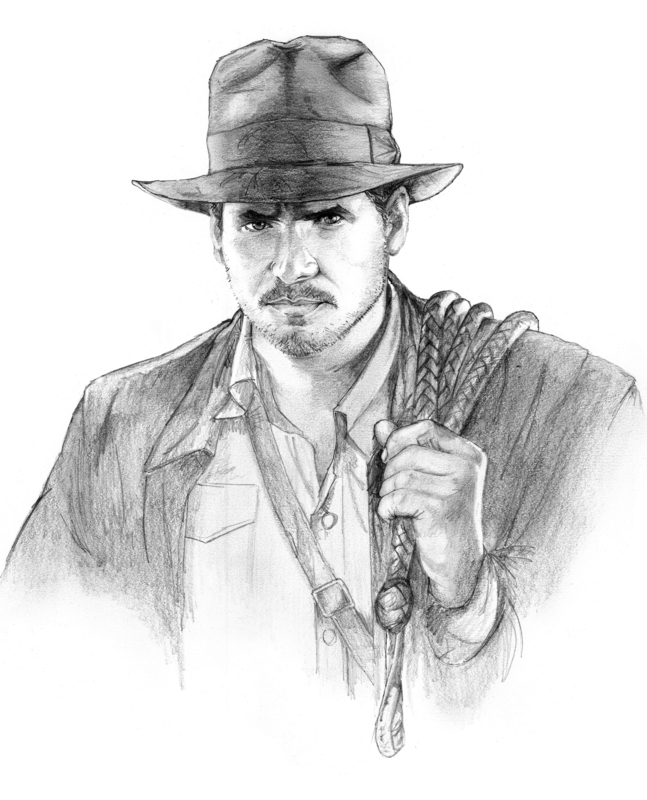 It’s hard to believe Indiana Jones star Harrison Ford is 70 today, we watched one of Wifey’s favourite films at the weekend ‘Raiders of the Lost Ark‘ on DVD after the BBC pulled it and put Wimbledon on instead. It’s the one film which she thinks he looks his most handsome, so knowing she could never get her hands on the real thing (even though she’s a year younger than his current wife Calista Flockhart) I decided not long after we met to draw her own personal portrait of him, which until recently was boxed away in the loft, which I’m glad to say has now resurfaced in the Milner Household, she also has a few others which I’ve done for her over the years. Harrison Ford was asked only recently if he would be retiring, to which he said..